Grooming an arena is a maintenance that cannot be ignored. Neglecting your arena maintenance can cause serious, and expensive issues down the road. The problem with the common question that I get, is that there is no equation for how often you need to groom your arena. An arena should be dragged as soon as ruts, or holes appear anywhere in the arena. But the frequency really depends on the traffic in the arena. If you’re grand prix style jumping, with 15 horses a day on the footing, you will be grooming much more often than a private arena just doing ground work. 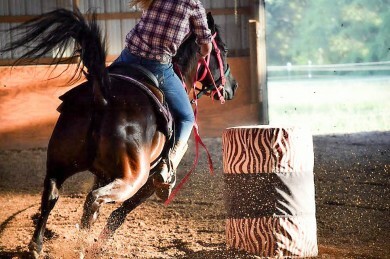 A busy lesson barn could be dragging the ring multiple times a day, while a private barn can get away with dragging once every week or two. The footing also plays a big role in how often you drag. Some sands can compact hard when they’re ridden on and need to be dragged to loosen the material up. Some sands are fine granules and move very easily, so the arena develops ruts quickly. When purchasing footing for your arena, it is important to take maintenance into consideration. When ordering a traditional sand arena, you should find out the angles of the sand as well as granule size and research how that typically performs in an arena. Our dust-free footings are composed of pure silica sand, wax and synthetic fibers. The combination of these components creates a footing that does not compact, and does not move as freely as traditional sand. We get a lot of feedback from customers stating that they do not have to groom their arena as often as they did with traditional sand. Our footing is much more stable, so it takes longer to create ruts when riding. 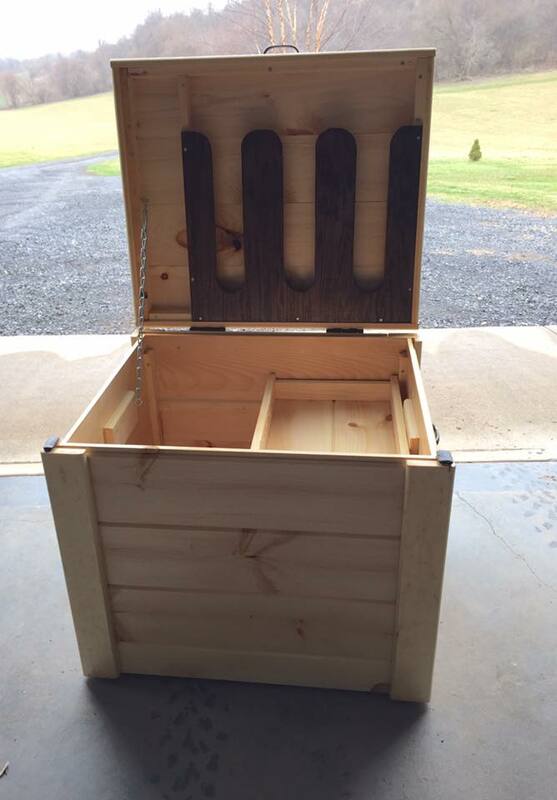 By purchasing our footing, you will significantly cut down on your grooming time! In addition to our footing, we often suggest to purchase a PARMA Groomer to groom the arenas. PARMA Groomers are a less aggressive groomer so that the fibers in the footing as not pulled out. These groomers are very lightweight and can be pulled with anything from a tractor to a golf cart! I just moved my horse to a new private barn that just has my horse and a second horse. It is a quiet barn with miles of trails, which is exactly what I want! Riding trails weave in and out of the woods and across fields. With such nice landscapes, I’ve also been thinking about bringing my year old Labrador retriever on trail rides too; especially since my horse is great with dogs. The problem? My puppy has never been around horses. Dogs that are trail riding partners have a few requirements. They need to be physically fit in order to go on long trail rides and they need the mental soundness enough to follow your commands. Some dogs are more independent than others and will run ahead, but they should listen when you ask them to come back to you, or wait for you to catch up. My dog loves to go on long walks. She is very independent and she is the type that will run ahead on walks through the woods to follow a scent. Even though she sometimes goes very far on a scent, she will come back as soon as I call her. 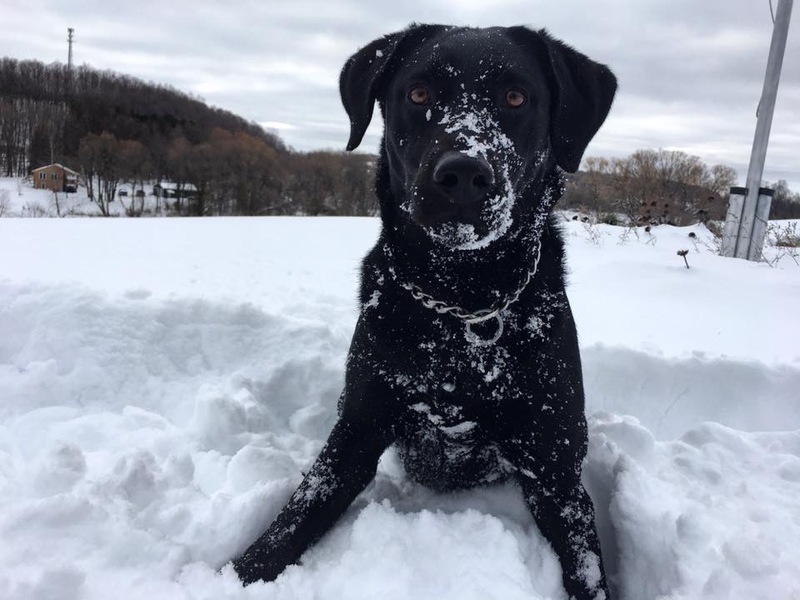 Although dependent dogs might be easier to take on trail rides because they will stay close to you, a well-trained independent dog can also be a good trail companion. Once I decided that I wanted to bring my dog around my horse, I started looking up ways to train dogs to behave around horses. Before you introduce your dog to the barn, or your horse, your dog should be well trained. She should be able to understand simple commands such as sit, stay, and down, both on and off the leash. The first thing I did in my training my barn dog journey, was bring my dog to the barn on a leash. I closed the barn off so she wouldn’t see the horses outside and let her sniff around inside the barn. After a bit of smelling on leash, I let her run around inside while I mucked stalls so that she could get used to different sites and smells. Once I finished doing my chores around the barn I pulled down one of my saddle pads that has my horse’s scent on it and let my dog sniff that for a bit to get used to the smell of the horse. I brought my dog to the barn, and let her smell my horses scent a few times before introducing her to my horse. When she was relaxed enough around the barn, I decided it was time to introduce her to my horse. I asked another person to be there, who had enough horse experience to hold my horse while I introduced the puppy to my horse. My dog was on a leash and my horse was on a lead. My horse of course has seen dogs before so was not too concerned about the dog. Observe your dog as you bring her closer to your horse. Does she show signs of aggression or fear? If she is showing aggression firmly say no and sit her down. Praise her once she relaxes and move a bit more closer to the horse. Once you’ve made it to the horse, make sure both the horse and dog are comfortable and let the dog sniff your horse, your horse may also sniff the dog because he has never met this particular dog. The whole interaction could take days or weeks to get to the point where both your dog and horse are comfortable together. As you bring your dog to the barn more often she will easily become more relaxed. The next step is to keep your dog on a leash and allow your horse to run around in the pasture. Walk your dog on the leash around the pasture while the horse moves about. Praise your dog when she does not show any signs of fear or aggression. 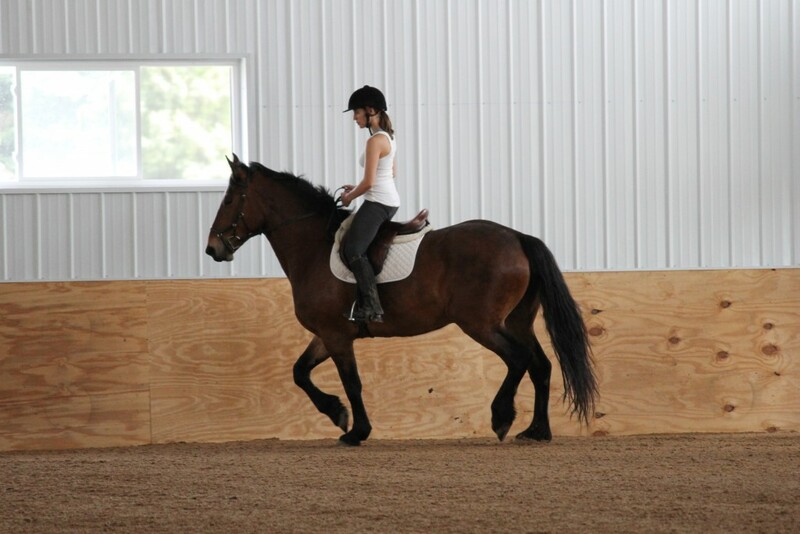 Move closer and closer to the horse as you make your way around the arena. Continue to teach your dog to respect your horse and his space. It could take months before your dog is calm enough to go on a trail ride with you. The important things are to take baby steps and be patient. This could be a long process! Good luck and wish me luck in the rest of my trail partner training journey! Since the start of our mattress system journey almost 20 years ago, there have been many changes in the industry. Let’s give you a bit of background on our company! 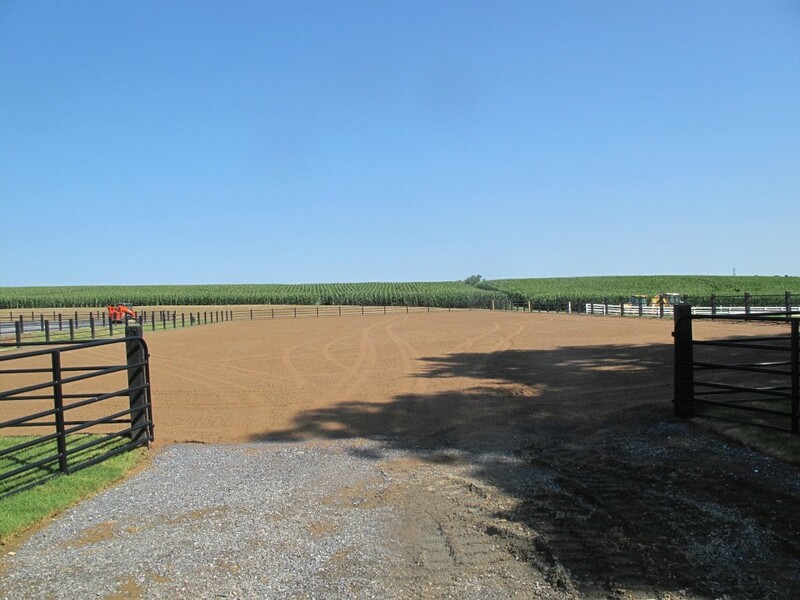 IGK Equestrian, LLC is a family owned business, which has a parent company: North Brook Farms, Inc.
More than 20 years ago, the Kyle family ran a dairy farm milking 350 head on their 800-acre farm in central New York. Their veterinarian advised them to make their cows more comfortable, since well-rested cows produce more milk. So the Kyles decided to make the cows’ bedding softer and more enticing by incorporating recycled rubber. The Kyles and their three sons scouted out local tire recapping shops for discarded tire buffings, packed them into stalls, and covered them with an industrial fabric. The cows readily laid down in their stalls, milk production soared and other farmers took notice. When they saw how fast the cow mattresses took off, they decided to also produce horse stall mattress systems. They started with the rubber filled mattresses, then transitioned to the foam mattresses, which is currently used. Also over the past years, the Kyles and the rest of the employees at IGK Equestrian has studied and tested many different topcovers. a more economical SuperStall mattress system. Here at IGK Equestrian, we take all feedback very seriously. Due to the feedback we have received, we currently are in a transition period with our topcover. 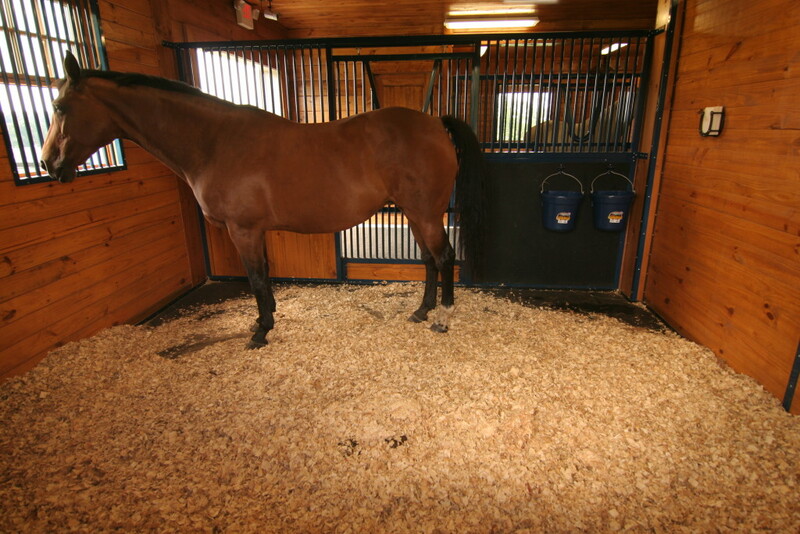 We are trying to find a topcover that would lower the cost of the mattress system, but would still perform under a horse the way we want it to. The new topcover is currently in the testing phase in the new product development cycle. Although we are very excited to be rolling out a new product in the future, we do not want to rush this process in anyway. The durability and the lifespan of the product under a horse is our top priority and we want to be sure that this topcover performs in the correct way. At this time, we are hoping to have the product available for purchase in late Spring 2017- Summer 2017. From all of us here at IGK Equestrian, we thank you for your patience as we find a topcover that will be the right fit for our customers. When the product is available for purchase we will be adding it to our website, as well as writing blogs about it and advertising it. Be sure to keep checking back in a few months to see when we will be offering the new economical mattress system! Equine Affaire is always our favorite show to go to. It gives us the chance to talk to lots of equestrian and hear how their current footings are, and how they want footing to perform for their horses. As I mentioned last year, we pulled together a new way for people to view our footings at shows. We created a side view of how we recommend the base to be constructed, as well as a good amount of footing for people to touch and feel. It gives them the chance to touch all of the footings and feel the differences between each of them. We sometimes quiz them after by asking them what type of riding they do and what footing they think would be best for them! nteract with our footing is great. Sometimes we contact with customers solely over phone and email and it is great to finally meet those customers in person. We also have some customers stop every year to tell us how their footing is doing, how their barn is doing and any projects they have in the future. It is also really nice to see these customers year after year. If you didn’t stop by this year at Equine Affaire, we hope to see you next year!